Dotted with castles, fortresses, churches, and other historic architectural marvels, Estonia is one of the most unique places you can travel to on your next vacation. We’ve identified several hotels which will make the perfect home base for your explorations, whether it’s on the beach of Parnu or Tallinn’s historic Old Town. The Hedon Spa & Hotel can be found on the white, sandy shores of Parnu Beach. The stunning getaway spot is perfect for couples who want a holiday focused on relaxation and rejuvenation as they’ll be surrounded by nothing by beauty and tranquility in the superb location. The spa and hotel itself are a one-of-a-kind masterpiece, separated into two sections; the hotel side of Hedon houses 72 contemporary-styled rooms complete with amazing amenities and their in-house fine dining restaurant, Raimond. The spa side of the hotel resembles the historical mud baths that have played a role in the city for generations. Padaste Manor is an amazing hotel in Estonia that is full of character; the manor’s history dates back to 1566 when the King of Denmark handed the manor over to the von Knorr family for their services to the Danish Crown. Guests today will still be able to see some of the ancient walls which still stand today. You can choose to stay at either the Manor House, Carriage House, or Private Farm House. The Manor House alone offers 13 variations of rooms and suites for you to stay in. Some of the in-room amenities and features of the room include an iPad for your personal use during your stay, well-appointed bathrooms with a large bathtub and separate rainwater shower, HD television, a PS3 gaming system for entertainment, mini-bar, internet access, and more. 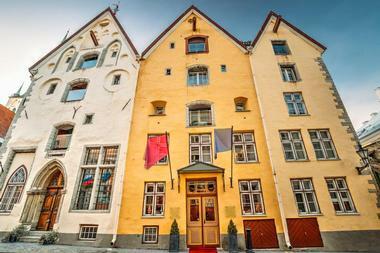 One of the finest hotels in Tallinn, Estonia, the Schlossle Hotel is a boutique, 5-star accommodation with 23 unique rooms and suites for guests to enjoy. You’ll find yourself right in the heart of Tallinn, on a picturesque cobblestone street, surrounded by historic buildings which date back to the 13th century. Take a loved one and disappear in the charm and romance of this wonderful place, which has an atmosphere that is hard to find elsewhere. Staying at the hotel means that you’ll be minutes away from the many cafes, museums, and sites that the medieval city of Tallinn has to offer. In 1362, the city of Tallinn built some of its most famous medieval merchant houses. In 2003 they were renovated and opened as the Three Sisters - a 5-star hotel filled with charm, character, and luxury. Staying at the hotel means that you’ll be within the 16th century walls of Tallinn’s fabled Old Town, giving you a chance to explore a place filled with so much beauty and history. 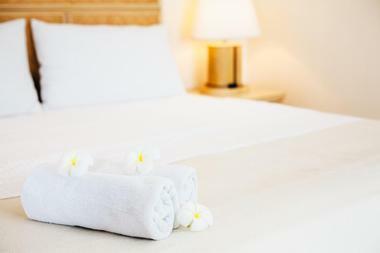 There are 23 uniquely designed rooms and suites; the hotel also offers a room that is handicap accessible. The Piano Suite is their most extravagant accommodation option and includes stylish decor, luxury amenities, and a separate dining and living area. Hotel St. Petersbourg is not only one of Tallinn’s finest boutique hotels, but also one of the city’s oldest operating hotels, dating all the way back to the 14th century. The luxurious 5-star accommodation is situated right in the center of historic Tallinn; you’re sure to have the vacation of a lifetime surrounded by the arches and charming old buildings full of history in romantic Old Town. The hotel itself has been full preserved in its original glory, giving you the opportunity to bask in timeless splendor and modern comfort. While you’re there be sure to indulge in a delicious meal at one of the in-house restaurants, Tabula Rasa Restaurant or Kuldse Notsu Korts. The Savoy Boutique Hotel by TallinnHotels is one of the most exclusive and intimate luxury 5-star accommodations in Old Town. Enjoy sincere hospitality and extravagant amenities during your stay at the stunning hotel. 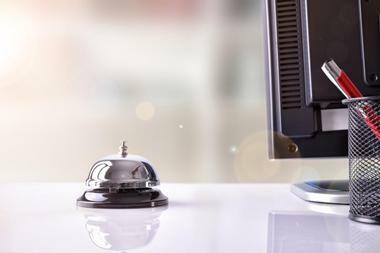 Some of their hotel services include a rich buffet breakfast, on-site parking, airport transfer services, and a concierge that will be more than happy to assist you with local attractions, event tickets, restaurant reservations, and more. There are 44 elegant rooms and suites to choose from, each of which have custom-made Italian furniture and other features made by local blacksmiths. 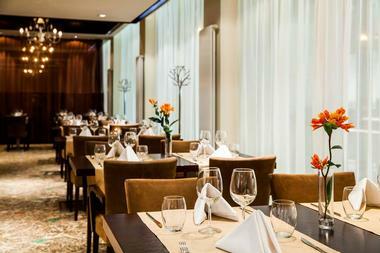 Before you leave, be sure to enjoy modern Estonian cuisine at the hotel’s in house dining establishment, Restaurant Mekk. 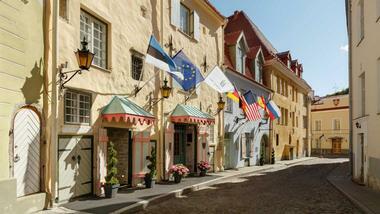 Experience unparalleled luxury in Tallinn’s Old Town at Hotel Telegraaf, Autograph Collection. The 5-star accommodation is housed in a magnificent building which was originally established in 1897 as a private domain; it was then used a post office for over 70 years. Paying tribute to its history, the Hotel Telegraaf opened its doors in 2007, making it only fitting for the old cultural center of Estonia to be transformed into an elegant social epicenter. You can choose to stay in one of the hotel’s 83 rooms and suites, each of which are designed in modern art style. If you’re looking for a room or suite with the most impressive views of Old Town and the Baltic Sea, then the Swissotel Tallinn is perfect for you. 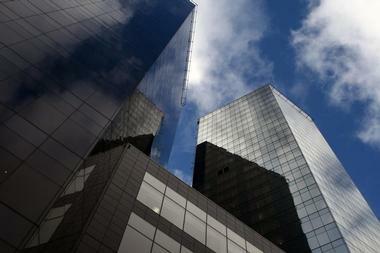 The hotel is the tallest building in the city and offers panoramic vistas of your surroundings every which way you look. 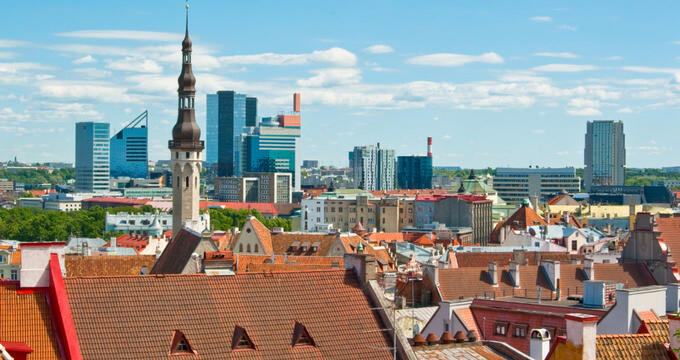 If you stay at one of their 238 elegantly-appointed rooms, you’ll only be ten to fifteen minutes away from important landmarks such as Tallinn International Airport and the distinctive cobblestones of medieval Old Town. The hotel provides many exclusive amenities which cater to both leisure and business travelers such as a sumptuous breakfast buffet to start your day or a heated indoor pool with sauna to relax and rejuvenate in. 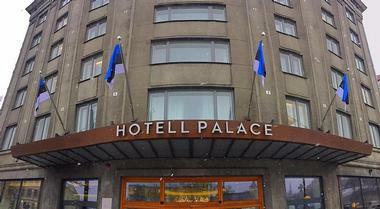 Often recognized as one of the “Top 10 Hotels in Estonia”, the Hotel Palace by TallinnHotels is one of the most spectacular hotels in Old Town. 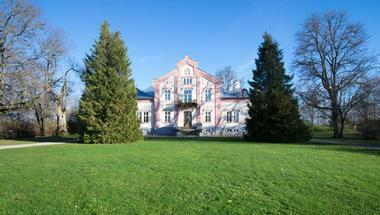 It was originally constructed in 1937 and designed by Estonian architect, Elmar Lohk. 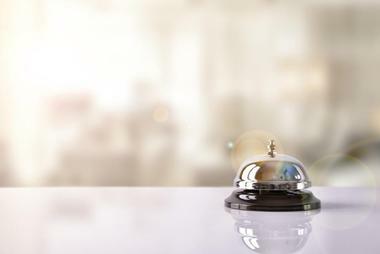 The hotel and its friendly staff are dedicated to making your experience flawless from the minute you check in till the point you leave. You can choose from 79 of their modern rooms and suites, all of which offer modern tech solutions to ensure comfort during your stay such as a Samsung Galaxy Tab and an interactive television. The hotel also has special rooms for guests with allergies and/ or disabilities. Probably one of the rarest hotels you’ll come across not only in Tallinn but anywhere in the world, each of the rooms in Solo Sokos Hotel Estoria tells an interesting Estonian story about underwater chess games and other unique events which have taken place there. Internationally renowned, the hotel also features the works of the some of the best Estonian designers, whether it be in the actual creation of the hotel or its decor. Guests will be able to enjoy a delicious breakfast featuring several Estonian specialties, take advantage of their state-of-the-art fitness center, and feast and have fun in one of the hotel’s many food, drink, and entertainment venues. Housed in one of Old Town’s beautiful historical buildings, My City Hotel Tallinn is an intimate and charming accommodation choice that is suitable for both business and leisure travelers. You’ll be right in the heart of all there is to experience in Tallinn’s Old Town, while still being able to take advantage of the quiet and serene environment of the hotel. There are three room styles to choose from and those who are traveling with younger children will find the Family Room to be the best option for them. Other aspects of the hotel include their award-winning in-hotel dining establishment, Restaurant MIX, and their private Finnish-style sauna. The Vihula Manor Country Club & Spa is housed in an elegant 16th century mansion that will transport you to a serene and calm environment away from the hustle and bustle of daily life. Located within Lahemaa National Park, the manor is surrounded by fascinating natural beauty which you can explore during the day. In the evenings, sign up for one of the manors exciting events or workshops such as wine tastings, vodka tastings, herbal tea tastings, berry picking, guided walks to the iconic windmill and watermill of Vihula Manor, or even creating your very own salt scrubs. The Aqva Hotel & Spa is a beautiful space that combines everything which makes for the perfect holiday: delicious meals, relaxing spa treatments, and enchanting entertainment for the entire family. Their water and sauna center are renowned and filled with amenities such as eight different saunas, steam bath, infrared sauna, sanarium, and a refreshing cold water swimming pool. Pamper yourself and indulge in multiple body and facial massages and treatments so that you’ll leave Aqva Hotel & Spa truly refreshed and rejuvenated. Afterwards, dine at their FRESCO lounge or the A LA CARTE RESTAURANT FIORE for delicious local and international cuisine. 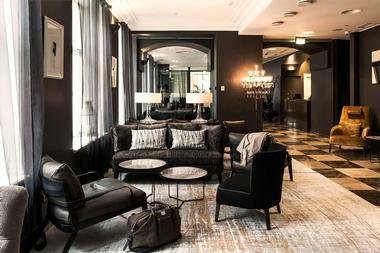 The von Stackelberg Hotel Tallinn is an elegant lifestyle hotel that was established in the 1874 as a private estate for Baron von Stackelberg. The hotel can be found right beside the Old Town of Tallinn on the foothills of the Toompea Hill, putting you in the middle of several landmarks in the medieval town such as Toompea Castle and Nevsky Cathedral. The rooms are the definition of style and relaxation, and even their Standard Rooms is fitted with luxury features such as heated bathroom floors and designer baths or walk-in showers. For an additional scoop of extravagance, stay in their ZEN Deluxe Room, which includes a jacuzzi bath and deluxe aromatherapy bathroom amenities. 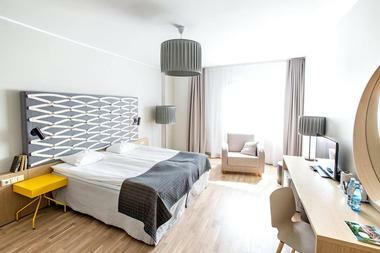 Hilton Tallinn Park is the perfect example of contemporary comfort in a charming medieval town. 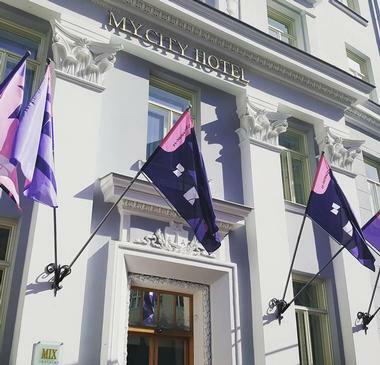 Situated right in the city center of Old Town, the hotel offers panoramic views of all the amazing structures and sights of Old Town as well as Tallinn Harbor. 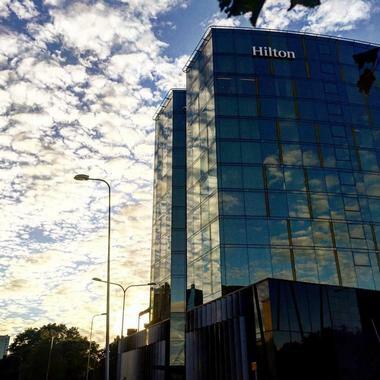 You can spend your days walking the cobblestone streets and exploring the many shops and restaurants you’ll find there, knowing that you can come back to a good night’s sleep in the comfortable rooms at Hilton Tallinn Park. Some of the hotel’s features include a 24-hour fitness center, indoor swimming pool, spa, terrace, designated barbecue area, 24-hour business center, and an Executive Lounge. The Lydia Hotel combines the charming atmosphere of Old Town with the comforts of modern amenities. You’ll find the beautiful hotel on the hillside of Toompea Hill behind the iconic Tartu Town Hall Square. The 4-star hotel has a choice of 70 gorgeously-decorated rooms and suites, a relaxation spa lounge with several saunas, a fitness club, and a marvelous restaurant with local and international cuisine. Their rich buffet breakfast is renowned for being a delicious array of hot and cold cuisine that is sure to be the perfect start to your day; for a more intimate experience, have the delicious breakfast delivered to your room. Situated in the heart of Tallinn, the Nordic Hotel Forum is a modern 4-star hotel that is just steps away from the historic and picturesque Old Town. It has been the hotel of choice for business and leisure travelers for years, as it’s filled with amenities to ensure you have a comfortable and memorable stay. 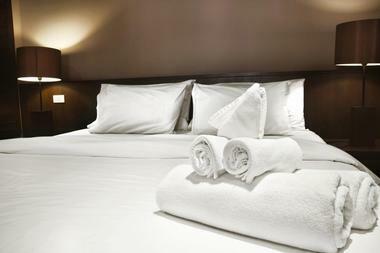 There are 267 rooms at the hotel, all of which are spacious and elegantly furnished. 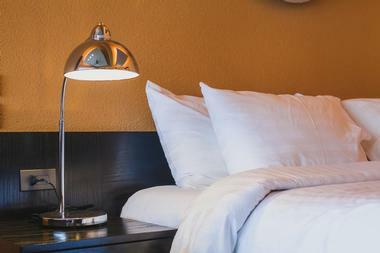 In-room amenities may include luxury linen and pillows, LCD television, mini-bar, wireless Internet access, and more. 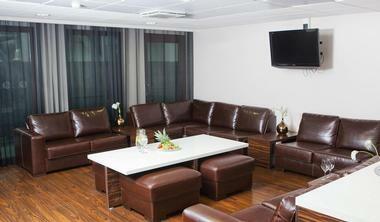 There are designated rooms to accommodate those who may have special requirements and/ or allergies. The hotel has two dining establishments: the Lobby Bar and Restaurant Monaco; the latter is a modern fusion kitchen with classic international cuisine for diners of all ages to enjoy. 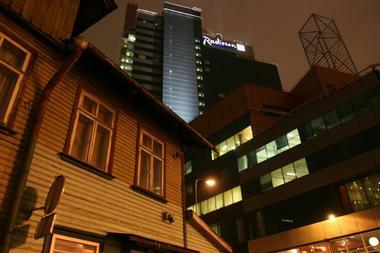 The Radisson Blu Sky Hotel in Tallinn is a wonderful choice for those who are traveling to Estonia. 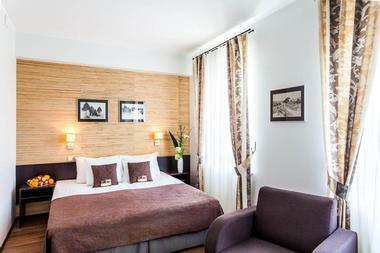 The hotel is quick drive from the airport and is centrally located amidst all there is to see and do in the city center. You’ll be within walking distance of the UNESCO World Heritage Site, Tallinn Old Town, and its impressive array of Gothic architecture such as Tallinn Town Hall. Their array of standard and business class rooms and suites are all spacious, marvelously decorated, and many of them offer spectacular views of Old Town and the Baltic Sea. 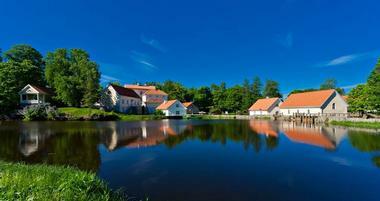 The Estonia Resort Hotel & Spa is a 4-star accommodation that is situated on the golden sand beaches of Parnu. They have 106 hotel rooms that are spacious, beautifully-decorated, and are the perfect base to go explore the city from. All guests can indulge in their complimentary breakfast and make use of the free WiFi throughout the hotel. After a day of adventure, come back to a relaxing spa treatment or a dip in the hotel’s sauna. You can also satiate your taste buds with delicious food and drink from Restaurant NOOT or the hotel’s cafe and lobby bar. Noorus Spa Hotel is a luxurious complex that revolves around its relaxing, state-of-the-art rooms and spa. The hotel has 114 rooms and suites and is one of the newest additions to the many resorts in the area. You’ll find the services to be amazing as all of them are designed to completely rejuvenate the guest. The spa complex is separated into three sections: the spa and pool, the health and wellness center, and the beauty-based treatment center. Afterwards, spend your time enjoying bowling or billiards in the hotel’s playground or have a meal at their romantic garden restaurants. Before the Kalev Spa Hotel & Waterpark became a renowned hotel in Estonia, it started off as a swimming pool that was built in the 1960s. At the time of its construction, the 50-meter swimming pool had the most spectacular design of its kind having been worked on by leading architect, Uno Tolpus. The pool was reconstructed in 2005 to be a contemporary holiday and leisure center, but soon a hotel with 100 rooms and suites, a health center and fitness center, and multiple restaurants and cafes was added. Still, the pool, or water park as it’s called, remains to be one of the hotel’s main features as it is the largest of its kind in North Estonia. 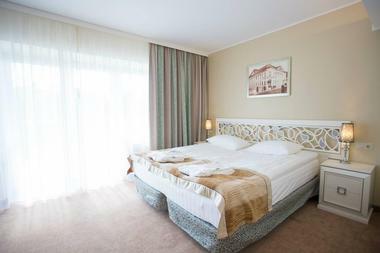 The Original Sokos Hotel Viru is a vibrant city hotel that ensure guests will receive gorgeous and comfortable accommodation along with friendly service. The hotel is filled with not only an array of room styles, but also restaurants, recreational and entertainment venues, cafes and restaurants, a conference and banquet center, a shopping center, and an interesting museum dedicated to the KGB - all under one roof. You will be right in the heart of the bustling city center, giving you easy access to all of the best things there are to see and do. If you need help in getting around, the experts at Original Sokos Hotel Viru will be more than happy to give you the best tips on what there is to see and do. The Radisson Blu Hotel Olumpia is an iconic hotel situated in the city center of Estonia’s capital, Tallinn. The hotel features 390 tastefully decorated rooms and suites, each of which are filled with modern amenities and conveniences such as 24-hour room service and high-speed internet to ensure you have a comfortable stay. Guests will have access to the hotel’s fitness and health center which comprises a swimming pool, well-equipped gym, a hot sauna, and stunning views of Tallinn since it’s located on the 26th floor of the hotel. Be sure to try a fresh pastry from the hotel’s Cafe Boulevard or a delicious meal from their in-house restaurant, Senso. Kreutzwald Hotel Tallinn is a beautiful hotel that can be found next to one of Tallinn’s most iconic landmarks, the National Library of Estonia. The hotel was originally completed in 1953, and though it has undergone renovations since then, you’ll still be able to see the historic charm and character throughout the hotel. There are 65 stylish and comfortable rooms and suites to choose from. The hotel is also home to the renowned ZEN SPA which houses a steam sauna, Japanese bath, and offered a variety of rejuvenating body treatments and massages. It’s one of the best places to make your base as you explore one of the best-preserved medieval towns in Northern Europe and all that it has to offer. Positioned in the heart of Tallinn and its many historic sites and attractions, the L’Ermitage Hotel is the perfect place to stay while exploring Old Town. The modern 4-star accommodation has 122 rooms varying in room types, from standard to luxurious suites. All of them are quiet, comfortable, and elegantly designed. 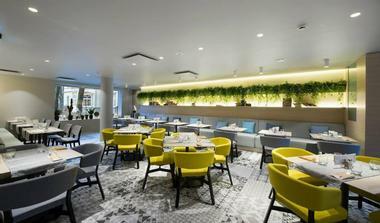 The hotel has two restaurants to dine in: Katze and L’Ermitage, in addition to their lobby bar; a complimentary buffet breakfast is served in their Cafe Katze. Other hotel features include a private sauna with jacuzzi, a contemporary conference hall, on-site parking, and complimentary WiFi throughout the hotel.